Package Includes: Device, batteries, lead wires, 1 pack of 4 electrodes, carrying case and users manual. The Ultima Combo is our premier combo stimulatior. 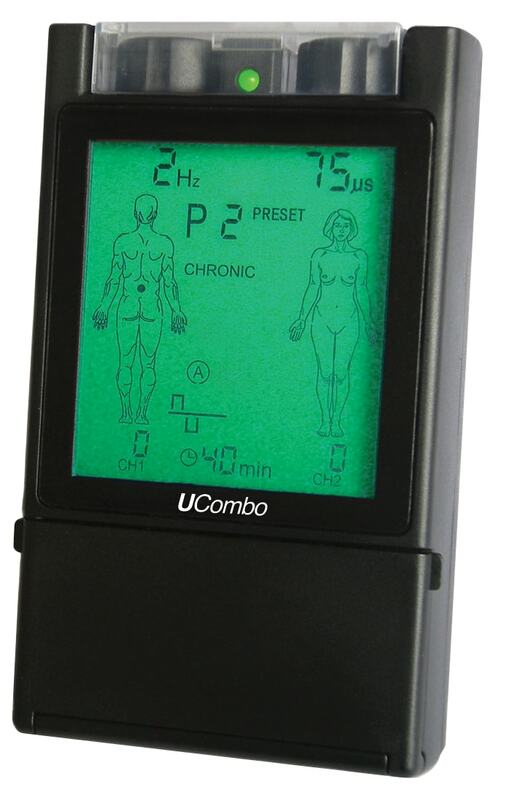 It combines the technology of the TENS U20 and the EMS Ustim. Both operation with a detailed and comphrensive body diagram. With the adjuactable timer, pulse width, and frequency this device can help with a large spectrum of injuries.